There has been an English chaplaincy in Utrecht in one form or another since at least the 17th century. The present church building was consecrated in 1913. It is cosy, traditional in style and frequently packed. Utrecht is, at least as far as the railway is concerned, at the centre of the Netherlands. Holy Trinity Utrecht is likewise at the centre of Anglican ministry to a big area that includes Zwolle, Arnhem and Groningen. The congregation of All Saints Amersfoort was planted from Utrecht 18 months ago. It is now a big church in its own right. 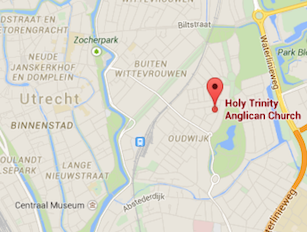 What’s more, Holy Trinity Utrecht has now attracted more families to replace those lost to the new church plant. So it is, again, full to capacity! The spirituality of Holy Trinity Utrecht is unique in our diocese. The building is owned by ICS. 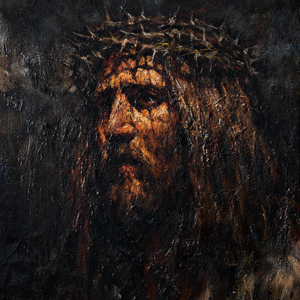 The regular worship style tends towards traditional, catholic. The congregation is largely or mainly Dutch by nationality. 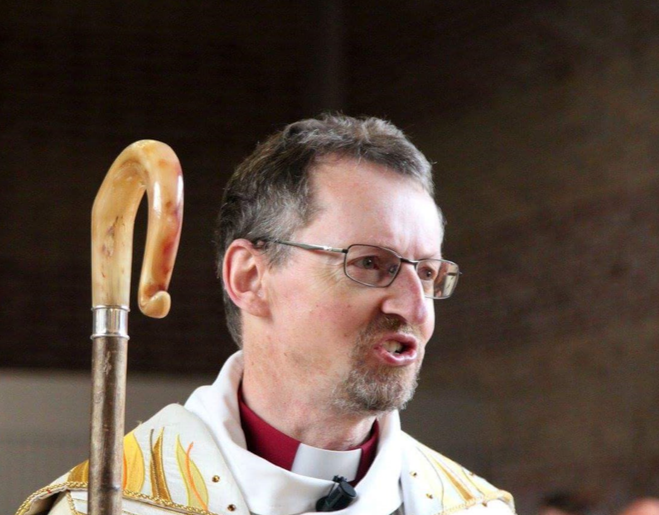 Under The Reverend David Phillips, the church has succeeded to a large degree in integrating regular Anglicans with a large number of the Catholic Apostolic Community. The notice sheet testifies to a church brimming with life: an active student ministry, film nights, various Bible study groups, a range of mission commitments. Chatting to people over coffee, the congregation was evidently thrilled at the way the church was growing spiritually and numerically. I spent a weekend with the people of Utrecht and its plant in Amersfoort. This included a long and fruitful meeting with its joint church council. 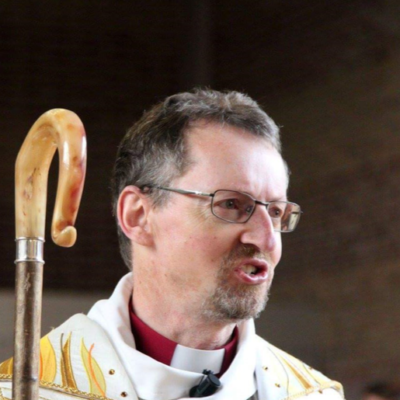 A good number of the council members are not from an Anglican background, so I took the opportunity to explain the nature of Anglican governance, and the role of the council, churchwardens and chaplain. The church had arranged this meeting over supper in a business suite at a hotel, so our discussion was focused and productive. All Saints Amersfoort currently meets in a large and attractive modern Roman Catholic building. Unfortunately, this building has been sold to a developer. So the community is searching for a new home. They are looking to lease or buy the right kind of space. 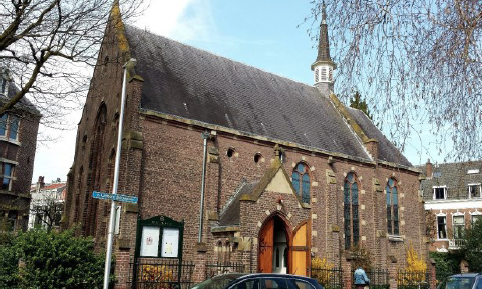 The Roman Catholic Church in the Netherlands is (sadly) closing churches at a rapid rate. But the task for All Saints is to find a suitable building, with ancillary rooms, which is not being marketed for commercial development. I presided at a Confirmation service in All Saints on Saturday afternoon. Worship was led by a big choir with trumpet. I reflected that there are few churches where one would get a big congregation for a confirmation service on a Saturday. On Sunday I presided at the 09:00 and 10:30 services at Holy Trinity Utrecht. The 09:00 service was eastward facing, with a traditional BCP-based liturgy, and in Dutch. 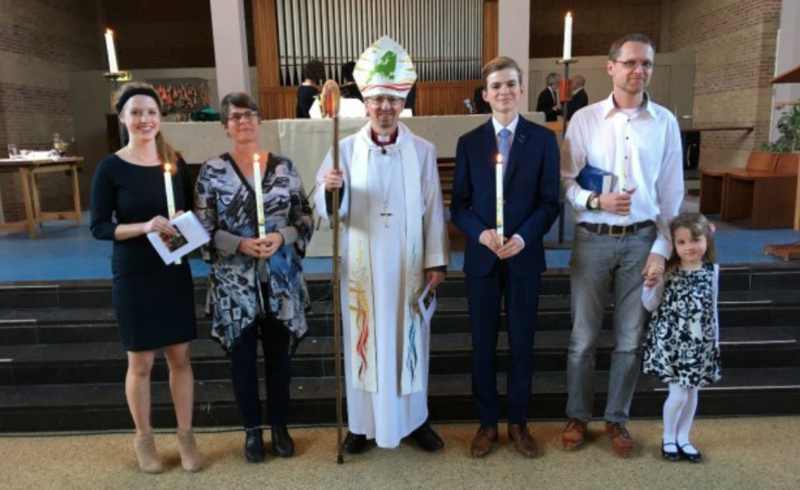 One young woman in the congregation remarked that it was odd for an English bishop to speak Dutch with a French accent. As a resident of Belgium, I took this is a compliment. The 10:30 choral communion was a modern liturgy, westward facing – and in English. After church, it was just about warm enough to have coffee in the garden. The spring flowers were at their best. David Phillips (Utrecht) and Grant Crowe (Amersfoort) are a talented pair of priests. They have significant responsibility for leading and guiding their lively, all-age congregations. In the case of Amersfoort, there are some important challenges ahead. I felt privileged to have shared their congregational life for a weekend. The churches certainly gave Helen and I a generous, friendly and hospitable welcome.